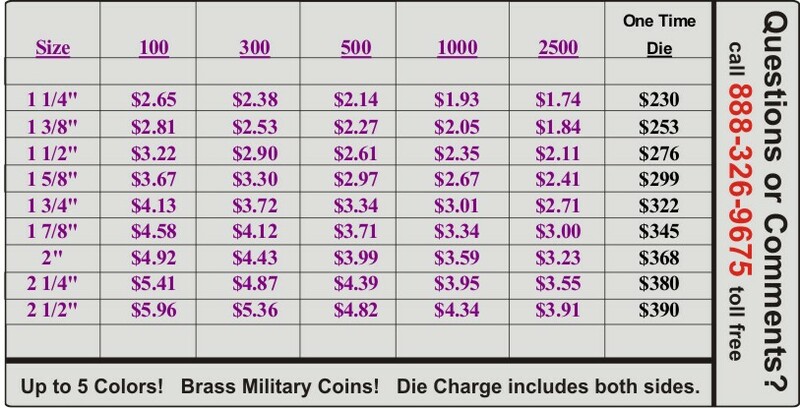 Select Size, Quantity and Finish of your Military Coin. Send us an idea of what you want each side of the coin to look like. We'll send you proofs free of charge! If you have any questions, give us a call or email your ideas for email communication. We're here to serve you! You will be impressed with our exceptional Customer Service and Product!